We’re more than just a gallery. We're a soulful journey across Canada, celebrating talent, beauty and unity. 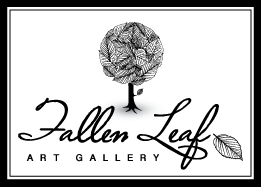 We bring top Canadian artists to Fallen Leaf to “WOW” your mind with outstanding paintings, sculpture & glass...and, of course, a comfortable lucious environment. We're proud to be representing the best of local and Canadian artists. Here you will find works created in oil, acrylic, watercolour, as well as three dimensional works in ceramic, glass, fused glass, bronze and metal. We specialize in representing established artists as well as emerging talent offering a wide range of options that can suit a variety of tastes, in a colourful relaxing atmosphere. Located in the picturesque valley of Canmore, Alberta, you will find much of our inventory is inspired by the rich landscape that is found in the surrounding Canadian Rockies. Feel free to browse through our wide selection of inventory on our web site, and be sure to visit us when you are in Canmore. If you have any questions please do not hesitate to call us at 403-678-5034. We are pleased to offer our clients worldwide shipping for any and all pieces that you may find on our website. We’re more than your typical art gallery. We are an experience.